When I was a student, I was given an assignment to study the work of an artist of my choice. I had to demonstrate my familiarity with the work of this artist by presenting a written report, accompanied by an entirely original visual composition done in the style of that artist. 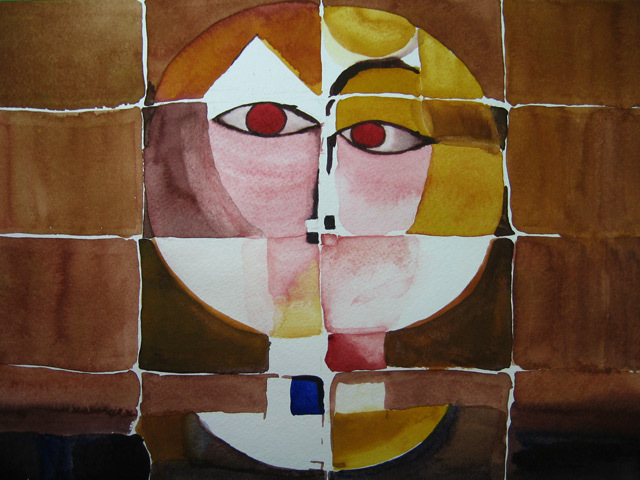 The artist I chose back then was Paul Klee. 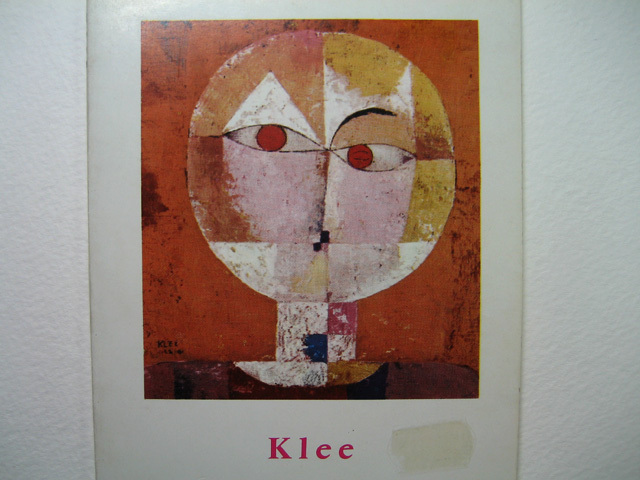 When I was figuring out what I could do with the 16-block format I have assigned myself for AEDM this month, I was reminded of Klee's much-reproduced painting, Senecio. This painting was crying out to be chopped up into 16 blocks! So I set in to do the interpretation. And with some adjustment in proportions, it worked. Although the original painting is in oil, the watercolor techniques I am using worked reasonably well, too. I stepped back from the 16-block arrangement pleased with today's results. I LOVE that! Nice interpretation! Thanks, Lisa! It was fun to do problem solving with the watercolor paints, and see how they responded. Really cool! I love it. Very cool interpretation - great job! This is gorgeous! It works wonderfully! Thanks Sharon, Linda and Julie... It's great to know you folks are enjoying the experimentation I'm doing with these 16-block arrangements!